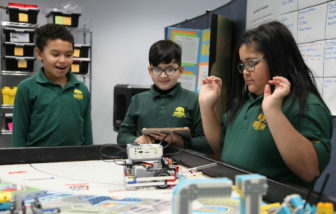 Fifth-graders, from left, Jayden Vargas, David Bojorque and Ariyana Denny figure out how to make their Lego robot move in a robotics class. 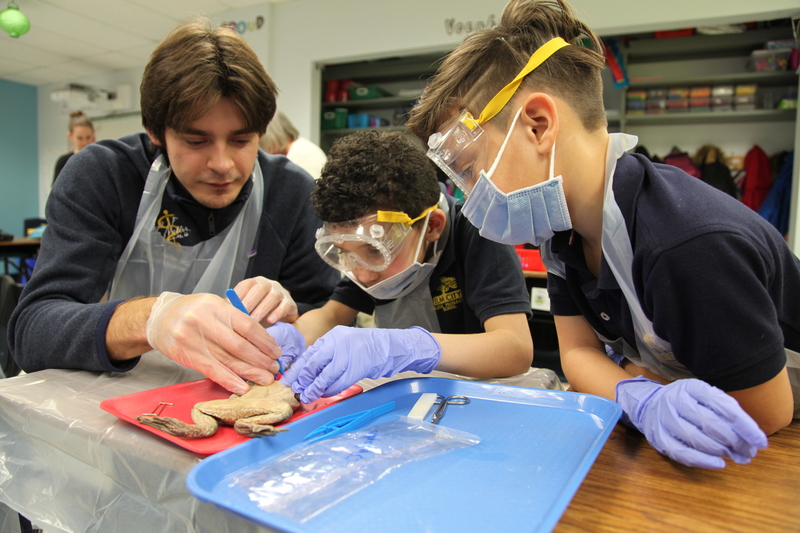 Toll sees expeditions as a way to give students what they need for that long-term achievement: strong academics, content that motivates them, and the chance to work independently as well as collaboratively toward a goal. The hope is that expeditionary learning will solve a problem that has long bedeviled charter schools like Achievement First: graduating kids who then find it difficult to work independently in college and who eventually drop out. 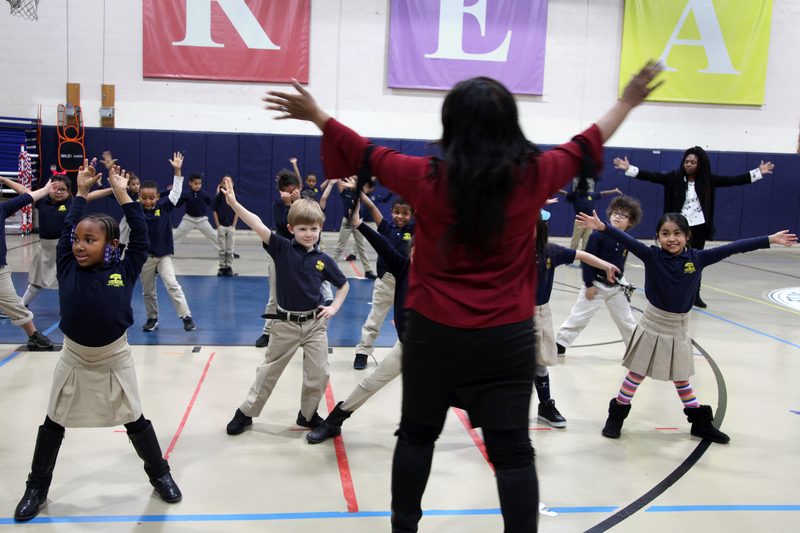 First-graders take part in a dance expedition led by classically trained ballet, tap and jazz dancer Alisa Bowens.